Thinking Of Creating A Fixed Footer For Your blog/site at the bottom ? Quickly Grab this piece of code and Add Fixed Footer to your site Now..
Basically,When we try to add bullet points using html codes(i.e,Unordered Lists),they are displayed in black color.So how to Change color of bullet points.We have a Css trick for it ! 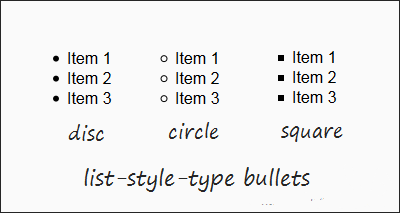 You can Change list-style-type: to Circle etc to Get Bullets Shape of Your Choice..
Hope You Liked This Tutorial,Stay Tuned for More..Still Any Doubts..Feel Free to Post Comments below..